Not to go all Bachelor on you or anything, but getting married is a dream come true when it’s for the right reasons. When it’s wrong, though, it can be a total nightmare, leaving you feeling jittery, riddled with doubts and alone. If any of these reasons sound familiar, rethink whether getting hitched is really the best thing to do. “This is great if it means you discuss things calmly and reach a conclusion, but it’s probably fatal to the relationship if it means you avoid conflict and disagreements,” Tessina explains. “Couples need to know how to resolve disagreements to create a lasting relationship.” In other words, as painful as fighting can be, it’s a necessary evil. It helps you learn how to communicate better and solve problems together. It’s hard when you feel like you’re the only one in your circle who’s still single, but that’s not a reason to rush into marriage if you’re not with the right person. If you’re only tying the knot “to avoid feeling alone when everyone else appears to be in a relationship or avoid being ‘left behind’ or ‘on the shelf,'” that’s a red flag you shouldn’t be doing it at all, says Jeanette Raymond, Ph.D., a licensed couples therapist and the author of Now You Want Me, Now You Don’t!. If you’ve decided to marry the guy you’re with because you think there isn’t anyone better for you out there but something doesn’t feel right, don’t do it. There is someone better out there for you. You just haven’t found each other yet. “Your intended might be a very nice person whom everyone else approves of, but if you don’t have some strong feelings for this partner, you may be better off as friends,” says Tessina. Marrying for money is not a good idea for a lot of reasons, among them that it can create an imbalance between the two of you. “If you’re attracted to your partner for what he or she can provide, you may be getting into an unequal relationship,” Tessina says. “He or she who has the gold tends to want to make the rules, so make sure you have a clear money agreement, and you’re respected, even if you come from a lesser economic background.” Money is also fleeting: It can evaporate at any time. Just because your man has money now is no guarantee that he will later in life. A lot of us can relate to feeling our biological clocks ticking… loudly. If you want children, why not marry the guy you happen to be dating, even if you’re not totally sure about him? Because marriage is hard enough, but having kids is even harder, that’s why. You not only owe it to yourself to be with the right person when you take that leap, you owe it to your future children too. 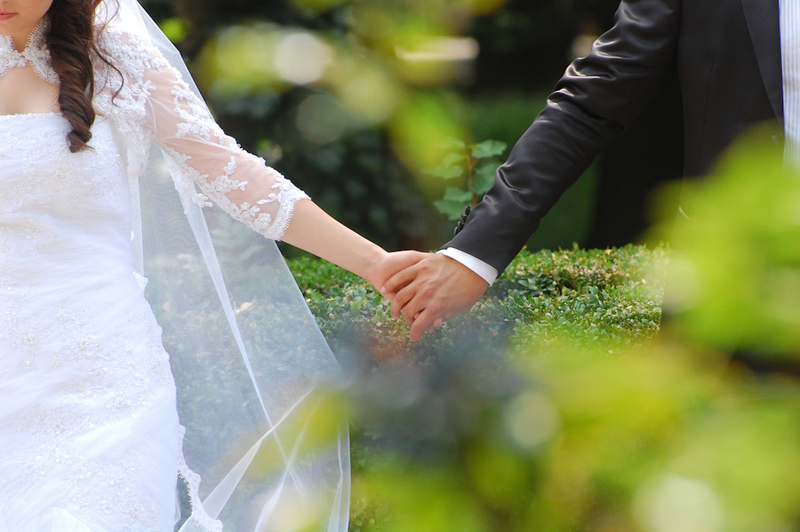 If you’re getting married because you’re dying to have the wedding of your dreams, but you’ve given little thought to the marriage itself, that’s a bad reason to walk down the aisle. Marriage is much more than that one magical day in the white princess dress. If the person you’re planning to say “I do” to isn’t the one you really want to be with but you just need a groom, it’s worth waiting for Mr. Right.